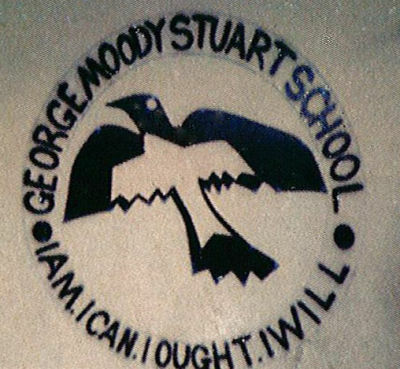 Motto: "I am...I can...I ough...I will..."
Open in 1961, George Moody Stuart School also called Factory School, is no longer located in its original location above the Sugar factory in Golden Rock, Basseterre. 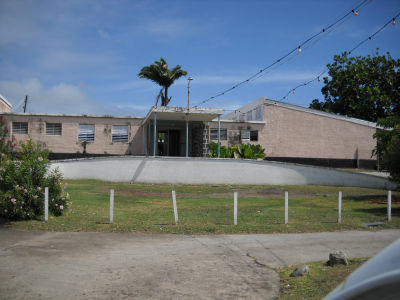 As the Government required the land to accomodate the West Basseterre By-Pass Road. 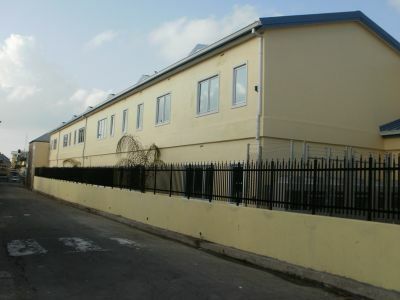 The school has been temporarily re-located to the Factory Social Center. A proposal has been put in place for the school to move to permanent new home in the LimeKiln area or somewhere there about. 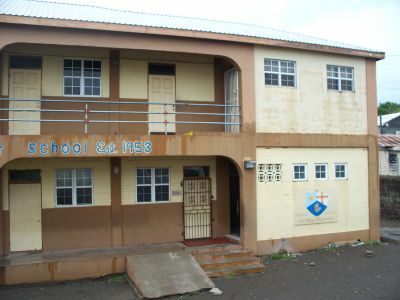 The school is name in honour of Mr. George Moody Stuart, C.B.E., who was chairman of St. Kitts (Basseterre) Sugar Factory Ltd., from 1912 to 1936. 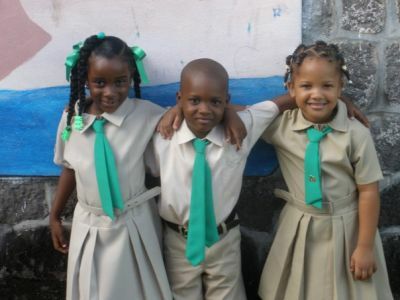 To provide quality education, which not only enables our children to obtain a sound foundation for secondary education, but also for community living based on Christian principles such as honesty, integrity and love, through a curriculum that addresses their spiritual, intellectual, social and physical development. The late Rev. Maurice Hillier, a Methodist Pastor, was the founder of the Epworth Junior School. 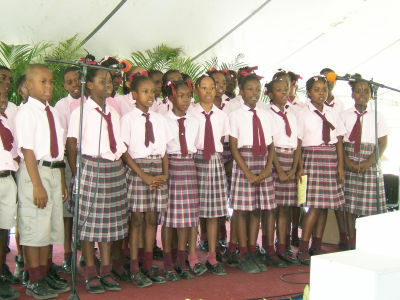 approximately 35 pupils, one principal and two teachers. 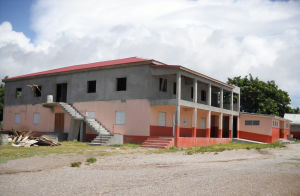 The roll of the school increased rapidly due to love, dedication and commitment of the teachers.The Maurice Hillier Memorial Jr. 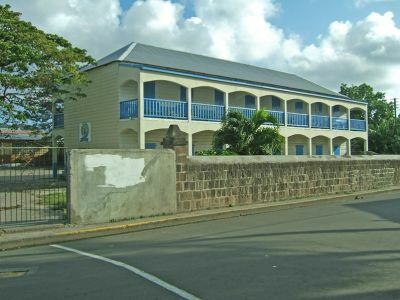 It is located at Nevis Street. The Montessori Academy aims to provide a carefully planned, comfortable, safe and stimulating environment which will help the child develop within themselves the foundation of habits, attitudes, skills and ideas that are essential for a lifetime of creative thinking and learning. Montessori's overriding goal for children in this age group is the development of a passion for lifelong learning. No purpose for education could be more pertinent to our world today and tomorrow. 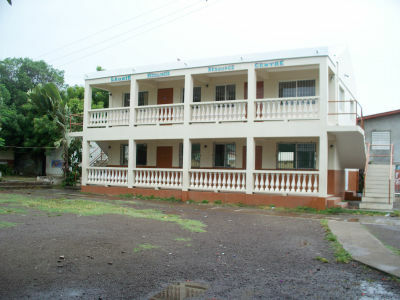 The Montessori Academy was established in September 2001. 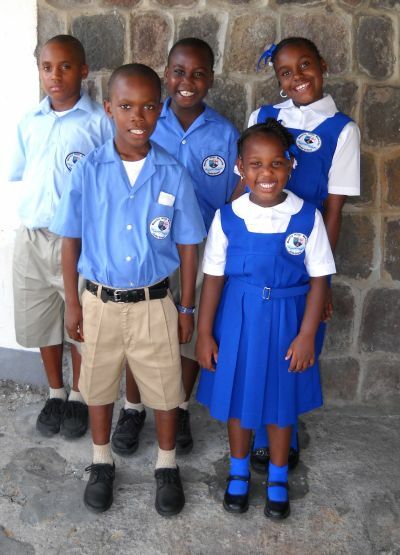 The school was a dream and realization of Dale Amory who wanted to open a school that offered the Montessori method of education as an alternative to the education systems already available in St. Kitts. Father Frank Molly, an Irishman while attending to the adult of his flock, didnot lost sight of the little ones. He built a school house and opened a Catholic Parochial School because of lack of funds, he was forced to close the school oo September16, 1872. It was later reopened by Father Gangneux and enlarged by Father Petras Smyth in 1902. In 1906 Father Alphonsus Stainforth, after whom name Stainforth Street has been named, purchase a large property beyond the Prebytery gardens. 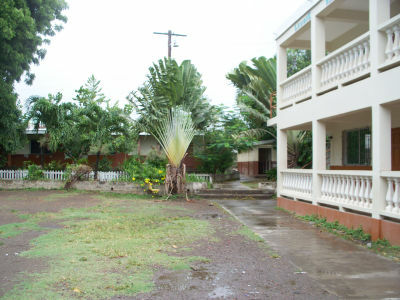 The spacious building was turned into a schoolroom and the garden into a playground for the school children. 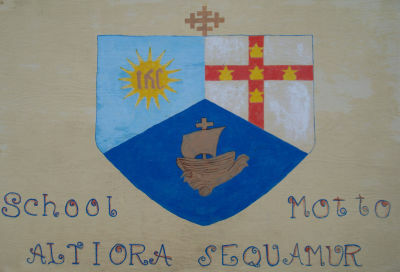 School reopened on April, 1907. 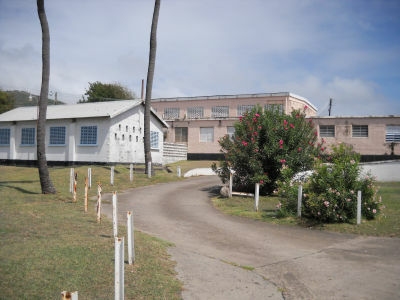 The present building was the second in the island to be constructed with concrete blocks supplied by the Basseterre Sugar Factory. Among the four batch of teachers were Nuns, called Madames, and later Mother and now simply addressed as Sisters. 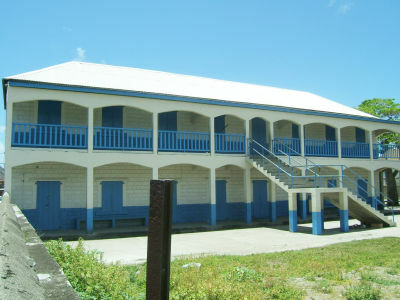 Madames Theresa, Claire Emelda, Dorsetta and Alavisha were known to have taught at St. Joesph's in the early 1920's. 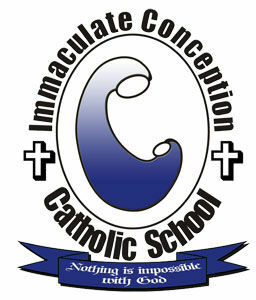 St. Theresa's Convent School's mission is to form character, to pursue excellence in the education and training of the whole person in body, mind, spirit and emotions in a Catholic Christian environment and to creatively provide a curriculum that will properly prepare each student for the challenges of the 21st Century. 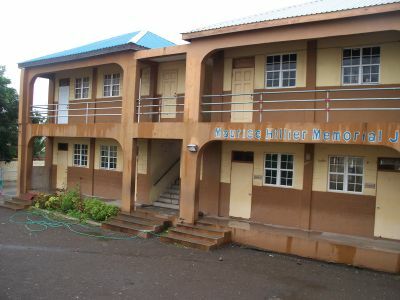 vocation from St. Kitts: Sr. Elmosa Charles, ICM. 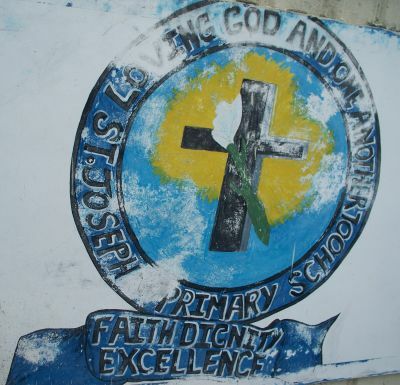 The last order of sisters who managed the schools was Daugthers of Jesus, but after the death of three sisters during the Christina Disaster in 1970 the sisters pulled out and local lay principals appointed by the Catholic School Board wer given the responsibility of managing the schools. 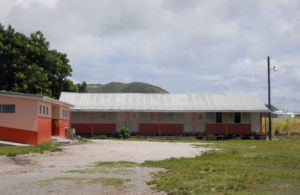 Most recently the schools were managed by the Caribbean native sisters from Jamaica the Franciscan Missionary Sisters, one of them Sr. Barbara Whyte, a nurse who served in the local Hospital is also a native of St. Kitts. 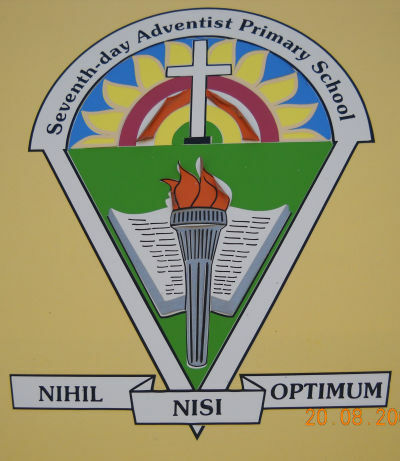 Contruction work is being done presently on a new wing of the school and when construction work is finish the Saint Therea's Convent School and Saint Joesph's Primary School will be merge into one school. 1976--Mr. C. Farrier 1st Lay Principal. 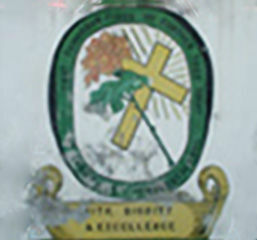 2005--Mrs. L. Pistana assumed the role of Principal after the Blue Sisters' departure. blessed. Students and teachers from both schools moved in on the 25th January with Mrs. L. Pistana & Mrs. V. Rogers as Principals: K - 2 & Gr. 6 - 8. 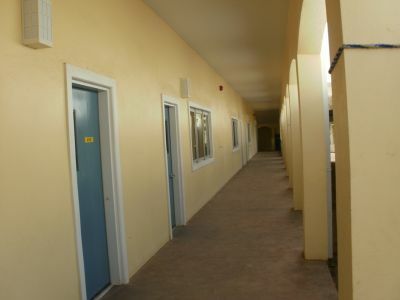 Phase 2 broke ground in February, 2010. 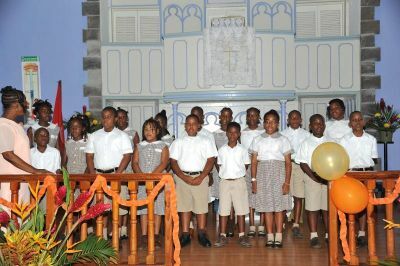 The Fundamental purpose of the St. Kitts Seventh-Day Adventist Primary School is to prepare the student in a Christian atmosphere for efficient, excellent and useful service in his immediate community and beyond, in preparation for the hereafter. Today, there have been 29 visitors (86 hits) on this page!